Because of its evident relationship to Christianity, special attention needs to be paid to the Persian/Roman religion of Mithraism. The worship of the Indo-Persian god Mithra dates back centuries to millennia preceding the common era. The god is found as “Mitra” in the Indian Vedic religion, which is over 3,500 years old, by conservative estimates. When the Iranians separated from their Indian brethren, Mitra became known as “Mithra” or “Mihr,” as he is also called in Persian. By around 1500 BCE, Mitra worship had made it to the Near East, in the Indian kingdom of the Mitanni, who at that time occupied Assyria. Mitra worship, however, was known also by that time as far west as the Hittite kingdom, only a few hundred miles east of the Mediterranean, as is evidenced by the Hittite-Mitanni tablets found at Bogaz-Köy in what is now Turkey. The gods of the Mitanni included Mitra, Varuna and Indra, all found in the Vedic texts. The Indian Mitra was essentially a solar deity, representing the “friendly” aspect of the sun. So too was the Persian derivative Mithra, who was a “benevolent god” and the bestower of health, wealth and food. Mithra also seems to have been looked upon as a sort of Prometheus, for the gift of fire. (Schironi, 104) His worship purified and freed the devotee from sin and disease. Eventually, Mithra became more militant, and he is best known as a warrior. Like so many gods, Mithra was the light and power behind the sun. In Babylon, Mithra was identified with Shamash, the sun god, and he is also Bel, the Mesopotamian and Canaanite/ Phoenician solar deity, who is likewise Marduk, the Babylonian god who represented both the planet Jupiter and the sun. According to Pseudo-Clement of Rome’s debate with Appion (Homily VI, ch. X), Mithra is also Apollo. By the Roman legionnaires, Mithra—or Mithras, as he began to be known in the Greco-Roman world—was called “the divine Sun, the Unconquered Sun.” He was said to be “Mighty in strength, mighty ruler, greatest king of gods! O Sun, lord of heaven and earth, God of Gods!” Mithra was also deemed “the mediator” between heaven and earth, a role often ascribed to the god of the sun. It was probably at this period, 250-100 b.c., that the Mithraic system of ritual and doctrine took the form which it afterward retained. Here it came into contact with the mysteries, of which there were many varieties, among which the most notable were those of Cybele. According to the Roman historian Plutarch (c. 46-120 AD/CE), Mithraism began to be absorbed by the Romans during Pompey’s military campaign against Cilician pirates around 70 BCE. The religion eventually migrated from Asia Minor through the soldiers, many of whom had been citizens of the region, into Rome and the far reaches of the Empire. Syrian merchants brought Mithraism to the major cities, such as Alexandria, Rome and Carthage, while captives carried it to the countryside. By the third century AD/CE Mithraism and its mysteries permeated the Roman Empire and extended from India to Scotland, with abundant monuments in numerous countries amounting to over 420 Mithraic sites so far discovered. Modern scholarship has gone back and forth as to how much of the original Indo-Persian Mitra-Mithra cultus affected Roman Mithraism, which demonstrates a distinct development but which nonetheless follows a pattern of this earlier solar mythos and ritual. The theory of “continuity” from the Iranian to Roman Mithraism developed famously by scholar Dr. Franz Cumont in the 20th century has been largely rejected by many scholars. Yet, Plutarch himself (Life of Pompey, 24) related that followers of Mithras “continue to the present time” the “secret rites” of the Cilician pirates, “having been first instituted by them.” So too does the ancient writer Porphyry (234-c. 305 AD/CE) state that the Roman Mithraists themselves believed their religion had been founded by the Persian savior Zoroaster. In discussing what may have been recounted by ancient writers asserted to have written many volumes about Mithraism, such as Eubulus of Palestine and “a certain Pallas,” Gordon (Journal Mithraic Studies, v. 2, 150) remarks: “Certainly Zoroaster would have figured largely; and so would the Persians and the magi.” It seems that the ancients themselves did not divorce the eastern roots of Mithraism, as exemplified also by the remarks of Dio Cassius, who related that in 66 AD/CE the king of Armenia, Tiridates, visited Rome. Cassius states that the dignitary worshipped Mithra; yet, he does not indicate any distinction between the Armenian’s religion and Roman Mithraism. Since the 1970s, scholars of western Mithraism have generally agreed that Cumont’s master narrative of east-west transfer is unsustainable; but…recent trends in the scholarship on Iranian religion, by modifying the picture of that religion prior to the birth of the western mysteries, now render a revised Cumontian scenario of east-west transfer and continuities once again viable. In his massive anthology, Armenian and Iranian Studies, Dr. James R. Russell, professor of Armenian Studies at Harvard University, essentially proves that Roman Mithraism had its origins in not only Persian or Iranian Mithraism and Zoroastrianism but also in Armenian religion, dating back centuries before the common era. 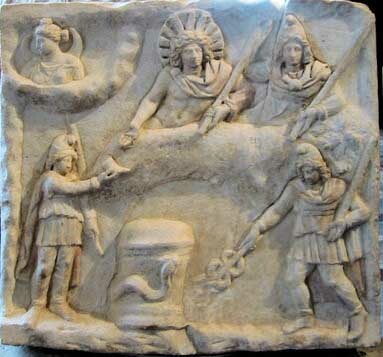 Mainstream scholarship speaks of at least three Mithras: Mitra, the Vedic god; Mithra, the Persian deity; and Mithras, the Greco-Roman mysteries icon. However, the Persian Mithra apparently developed differently in various places, such as in Armenia, where there appeared to be emphasis on characteristics not overtly present in Roman Mithraism but found as motifs within Christianity, including the Virgin Mother Goddess. This Armenian Mithraism is evidently a continuity of the Mithraism of Asia Minor and the Near East. This development of gods taking on different forms, shapes, colors, ethnicities and other attributes according to location, era and so on is not only quite common but also the norm. Thus, we have hundreds of gods and goddesses who are in many ways interchangeable but who have adopted various differences based on geographical and environmental factors. Over the centuries—in fact, from the earliest Christian times—Mithraism has been compared to Christianity, revealing numerous similarities between the two faiths’ doctrines and traditions, including as concerns stories of their respective godmen. In developing this analysis, it should be kept in mind that elements from Roman, Armenian and Persian Mithraism are utilized, not as a whole ideology but as separate items that may have affected the creation of Christianity, whether directly through the mechanism of Mithraism or through another Pagan source within the Roman Empire and beyond. The evidence points to these motifs and elements being adopted into Christianity not as a whole from one source but singularly from many sources, including Mithraism. Thus, the following list represents not a solidified mythos or narrative of one particular Mithra or form of the god as developed in one particular culture and era but, rather, a combination of them all for ease of reference as to any possible influences upon Christianity under the name of Mitra/Mithra/Mithras. In analyzing the evidence, we must keep in mind all the destruction that has taken place over the past 2,000 years—including that of many Mithraic remains and texts—as well as the fact that several of these germane parallels constituted mysteries that may or may not have been recorded in the first place or the meanings of which have been obscured. Moreover, it would seem that there is more to this story, as Aurelian was the first to institute officially the winter solstice as the birthday of Sol Invictus (Dies Natalis Solis Invicti) in 274 AD/CE. (Halsberghe, 158) It is contended that Aurelian’s move was in response to Mithras’s popularity. (Restaud, 4) One would thus wonder why the emperor would be so motivated if Mithras had nothing whatsoever to do with the sun god’s traditional birthday—a disconnect that would be unusual for any solar deity. Regardless of whether or not the artifacts of the Roman Mithras’s votaries reflect the attribution of the sun god’s birthday to him specifically, many in the empire did identify the mysteries icon and Sol Invictus as one, evidenced by the inscriptions of “Sol Invictus Mithras” and the many images of Mithras and the sun together, representing two sides of the same coin or each other’s alter ego. Hence, the placement of Mithras’s birth on this feast day of the sun is understandable and, despite the lack of concrete evidence at this date, quite plausiblywas recognized in this manner in antiquity in the Roman Empire. This ancient Persian winter festival therefore celebrates the strengthening of the “fire” or sun in the face its winter decline, just as virtually every winter-solstice festivity is intended to do. Yet, as Dr. Boyce says, this “Zoroastrian” winter celebration is likely pre-Zoroastrian and even proto-Indo-European, which means it dates back far into the hoary mists of time, possibly tens of thousands of years ago. And one would indeed expect the Medes and Persians to bring this festival with them into their new lands, including the Near East, where they would eventually encounter Romans, who could hardly have missed this common solar motif celebrated worldwide in numerous ways. Yalda has a history as long as the Mithraism religion. The Mithraists believed that this night is the night of the birth of Mithra, Persian god of light and truth. At the morning of the longest night of the year the Mithra is born from a virgin mother…. In Zoroastrian tradition, the winter solstice with the longest night of the year was an auspicious day, and included customs intended to protect people from misfortune…. The Eve of the Yalda has great significance in the Iranian calendar. It is the eve of the birth of Mithra, the Sun God, who symbolized light, goodness and strength on earth. Shab-e Yalda is a time of joy. It is likely that this festival does indeed derive from remote antiquity, and it is evident that the ancient Persians were well aware of the winter solstice and its meaning as found in numerous other cultures: To wit, the annual “rebirth,” “renewal” or “resurrection” of the sun. In the end the effect is the same: “Christmas” is the birth not of the “son of God” but of thesun. Indeed, there is much evidence—including many ancient monumental alignments—to demonstrate that this highly noticeable and cherished event of the winter solstice was celebrated beginning hundreds to thousands of years before the common era in numerous parts of the world. The observation was thus provably taken over by Christianity, not as biblical doctrine but as a later tradition in order to compete with the Pagan cults, a move we contend occurred with numerous other “Christian” motifs, including many that are in the New Testament. Mithras was “the rock,” or Peter, and was also “double-faced,” like Janus the keyholder, likewise a prototype for the “apostle” Peter. Hence, when Jesus is made to say (in the apparent interpolation at Matthew 16:12) that the keys of the kingdom of heaven are given to “Peter” and that the Church is to be built upon “Peter,” as a representative of Rome, he is usurping the authority of Mithraism, which was precisely headquartered on what became Vatican Hill. Unlike various other rock- or cave-born gods, Mithra is not depicted in the Roman cultus as having been given birth by a mortal woman or a goddess; hence, it is claimed that he was not “born of a virgin.” However, a number of writers over the centuries have asserted otherwise, including several modern Persian and Armenian scholars who are apparently reflecting an ancient tradition from Near Eastern Mithraism. …il y a donc analogie entre le rocher, symbole d’incorruptibilité, qui donne naissance au dieu iranien et la mère de celui-ci, Anāhīd, éternellement vierge et jeune. Moreover, Mithra’s prototype, the Indian Mitra, was likewise born of a female, Aditi, the “mother of the gods,” the inviolable or virgin dawn. Hence, we would expect an earlier form of Mithra also to possess this virgin-mother motif, which seems to have been lost or deliberately severed in the all-male Roman Mithraism. Well known to scholars, the pre-Christian divine birth and virgin mother motifs are documented in the archaeological and literary records, as verified by Dr. Marguerite Rigoglioso in The Cult of the Divine Birth in Ancient Greece and Virgin Mother Goddesses of Antiquity. On Mithraic monuments we find representations of twelve episodes, probably corresponding to the twelve labors in the stories of Heracles, Samson and other Sun-heroes, and probably also connected with initiation. The comparison of this common motif with Jesus and the 12 has been made on many occasions, including in an extensive study entitled, “Mithras and Christ: some iconographical similarities,” by Professor A. Deman in Mithraic Studies. Mithraism was so popular in the Roman Empire and so similar in important aspects to Christianity that several Church fathers were compelled to address it, disparagingly of course. These fathers included Justin Martyr, Tertullian, Julius Firmicus Maternus and Augustine, all of whom attributed these striking correspondences to the prescient devil. In other words, anticipating Christ, the devil set about to fool the Pagans by imitating the coming messiah. In reality, the testimony of these Church fathers confirms that these various motifs, characteristics, traditions and myths predated Christianity. If the Mithraic mysteries were indeed a Satanic copy of a divine original, we are driven to conclude that Christianity took a leaf out of the devil’s book when it fixed the birth of the Saviour on the twenty-fifth of December; for there can be no doubt that the day in question was celebrated as the birthday of the Sun by the heathen before the Church, by an afterthought, arbitrarily transferred the Nativity of its Founder from the sixth of January to the twenty-fifth of December. Augustine, Firmicus, Justin, Tertullian, and others, having perceived the exact resemblance between the religion of Christ and the religion of Mithra, did, with an impertinence only to be equalled by its outrageous absurdity, insist that the devil, jealous and malignant, induced the Persians to establish a religion the exact image of Christianity that was to be—for these worthy saints and sinners of the church could not deny that the worship of Mithrapreceded that of Christ—so that, to get out of the ditch, they summoned the devil to their aid, and with the most astonishing assurance, thus accounted for the striking similarity between the Persian and the Christian religion, the worship of Mithra and the worship of Christ; a mode of getting rid of a difficulty that is at once so stupid and absurd, that it would be almost equally stupid and absurd seriously to refute it. He also cautions about speculation concerning Mithraism and states that “there is practically no limit to the fantasies of scholars,” an interesting admission about the hallowed halls of academia. It is obvious from the remarks of the Church fathers and from the literary and archaeological record that Mithraism in some form preceded Christianity by centuries. The fact is that there is no Christian archaeological evidence earlier than the earliest Roman Mithraic archaeological evidence and that the preponderance of evidence points to Christianity being formulated during the second century, not based on a “historical” personage of the early first century. 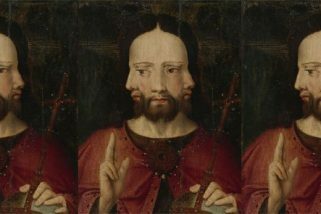 As one important example, the canonical gospels as we have them do not show up clearly in the literary record until the end of the second century. Mithra’s pre-Christian roots are attested in the Vedic and Avestan texts, as well as by historians such as Herodotus (1.131) and Xenophon (Cyrop. viii. 5, 53 and c. iv. 24), among others. Nor is it likely that the Roman Mithras is not essentially the same as the Indian sun god Mitra and the Persian, Armenian and Phrygian Mithra in his major attributes, as well as some of his most pertinent rites. Moreover, it is erroneously asserted that because Mithraism was a “mystery cult” it did not leave any written record. In reality, much evidence of Mithra worship has been destroyed, including not only monuments, iconography and other artifacts, but also numerous books by ancient authors. The existence of written evidence is indicated by the Egyptian cloth “manuscript” from the first century BCE called, “Mummy Funerary Inscription of the Priest of Mithras, Ornouphios, Son fo Artemis” or MS 247. As previously noted, two of the ancient writers on Mithraism are Pallas, and Eubulus, the latter of whom, according to Jerome (Against Jovinianus, 2.14; Schaff 397), “wrote the history of Mithras in many volumes.” Discussing Eubulus and Pallas, Porphyry too related that there were “several elaborate treatises setting forth the religion of Mithra.” The writings of the early Church fathers themselves provide much evidence as to what Mithraism was all about, as do the archaeological artifacts stretching from India to Scotland. These many written volumes doubtlessly contained much interesting information that was damaging to Christianity, such as the important correspondences between the “lives” of Mithra and Jesus, as well as identical symbols such as the cross, and rites such as baptism and the eucharist. In fact, Mithraism was so similar to Christianity that it gave fits to the early Church fathers, as it does to this day to apologists, who attempt both to deny the similarities and yet to claim that these (non-existent) correspondences were plagiarized by Mithraismfrom Christianity. Nevertheless, the god Mithra was revered for centuries prior to the Christian era, and the germane elements of Mithraism are known to have preceded Christianity by hundreds to thousands of years. Thus, regardless of attempts to make Mithraism the plagiarist of Christianity, the fact will remain that Mithraism was first, well established in the West decades before Christianity had any significant influence. For more information and citations, see The Christ Conspiracy, Suns of God, “Origins of Christianity,” “The ZEITGEIST Sourcebook” and The Christ Myth Anthology. See also the“Mithra: Pagan Christ” forum discussion. Alvar, Jaime, and R.L. Gordon. Romanising Oriental Gods: Myth, Salvation and Ethics in the Cults of Cybele, Isis and Mithras. Leiden/Boston: Brill, 2008. Amir-Moezzi, Mohammed Ali. La religion discrète: croyances et pratiques spirituelles dans l’islam shi’ite. Paris: Libr. Philosophique Vrin, 2006. Anonymous. The Existence of Christ Disproved. Private Printing by “A German Jew,” 1840. Badiozamani, Badi. Iran and America: Rekindling a Lost Love. California: East-West Understanding Press, 2005. Beck, Roger. Beck on Mithraism. England/Vermont: Ashgate Pub., 2004. Berry, Gerald. Religions of the World. New York: Barnes & Noble, 1955. Bleeker, Claas J. The Sacred Bridge: Researches into the Nature and Structure of Religion. Leiden: E.J. Brill, 1963. —A History of Zoroastrianism, II. Leiden/Köln: E.J. Brill, 1982. Campbell, LeRoy A. Mithraic Iconography and Ideology. Leiden: E.J. Brill, 1968.
de Jong, Albert. Traditions of the Magi: Zoroastrianism in Greek and Latin Literature. Leiden/New York: Brill, 1997. Forbes, Bruce David. Christmas: A Candid History. Berkeley/London: University of California Press, 2007. Frazer, James G. The Worship of Nature, I. London: Macmillan, 1926. Halsberghe, Gaston H. The Cult of Sol Invictus. Leiden: E.J. Brill, 1972. Hinnells, John R., ed. Mithraic Studies: Proceedings of the First International Congress of Mithraic Studies. Manchester: Manchester University Press, 1975. Kosso, Cynthia, and Anne Scott. The Nature and Function of Water, Baths, Bathing and Hygiene from Antiquity through the Renaissance. Leiden/Boston: Brill, 2009. Lundy, John P. Monumental Christianity. New York: J.W. Bouton, 1876. Molnar, Michael R. The Star of Bethlehem: The Legacy of the Magi. New Jersey: Rutgers University Press, 1999. The New Schaff-Herzog Encyclopedia, VII. eds. Samuel M. Jackson and George William Gilmore. New York/London: Funk and Wagnalls Company, 1910. Porphyry. Selects Works of Porphyry. London: T. Rodd, 1823. Prajnanananda, Swami. 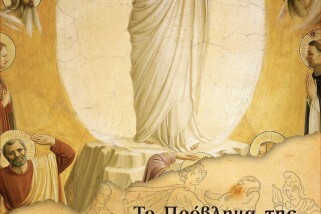 Christ the Saviour and Christ Myth. Calcutta: Ramakrishna Vedanta Math, 1984. Restaud, Penne L. Christmas in America: A History. New York: Oxford Univ. Press, 1995. Robert, Alexander, and James Donaldson, eds. Ante-Nicene Christian Library, XVIII: The Clementine Homilies. Edinburgh: T&T Clark, 1870. Robertson, John M. Pagan Christs. Dorset, 1966. Russell, James R. Armenian and Iranian Studies. Cambridge: Harvard University Press, 2004. Schaff, Philip, and Henry Wace. A Select Library of Nicene and Post-Nicene Father of the Christian Church, VI. New York: The Christian Literature Company, 1893. Schironi, Francesca, and Arthus S. Hunt. From Alexandria to Babylon: Near Eastern Languages and Hellenistic Erudition in the Oxyrhynchus Glossary. Berlin/New York: Walter de Gruyter, 2009. Srinivasan, Doris. On the Cusp of an Era: Art in the Pre-Kusana World. Leiden/Boston: Brill, 2007. Weigall, Arthur. The Paganism in Our Christianity. London: Thames & Hudson, 1923.